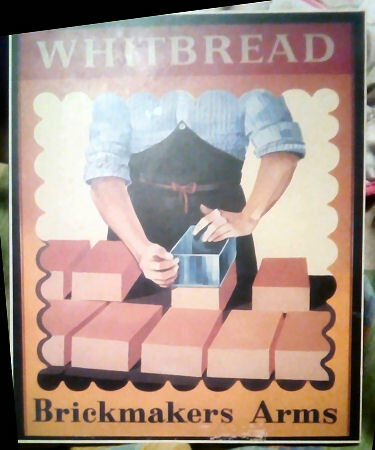 Brickmaker's Arms sign, date and location unknown. Lauren Davis has recently sent me this sign and says the following:- "I found this sign when I was cleaning. This is the only place I found that have a similar sign, (referring to my web site) is it anything to do with you. I have of course replied and asked for any further information. Lauren suggests that it is from the "Brickmaker's Arms" in Deal. Can anyone verify this or indeed tell me the correct location and date?